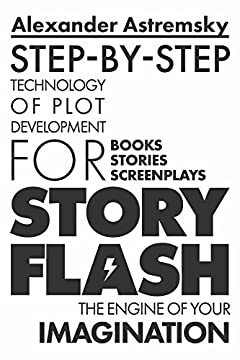 The book includes such chapters as "Story Development," "Episode Plan," "Character Development," â€œHow to Make the Story as Compelling as Possible,â€ â€œHow to Develop a Great Comedy Plot,â€ etc. It includes over 60 various practical exercises, pictures and diagrams illustrating this step-by-step process. This book also includes the Story-Flash Game, which you can play by yourself or with others. It is not just an interesting and entertaining game, it is designed to boost your imagination with inspiration and break down the barriers in your mind that prevent you from creating brilliant stories with ease.